The Workbench Accessory Storage Rack WB-ASR10 allows you to store your Machine Accessory when it is not in use. Angles and ergonomics are key for effective, efficient workouts of the quadriceps. Using the Powertec Leg Lift Accessory WB-LLA16 a user will feel the muscles being worked as the exercise is performed. Powertec Leg Lift Accessory WB-LLA16 biomechanically accurate pivot point ensures ergonomically correct body positioning for natural and complete hamstring development. 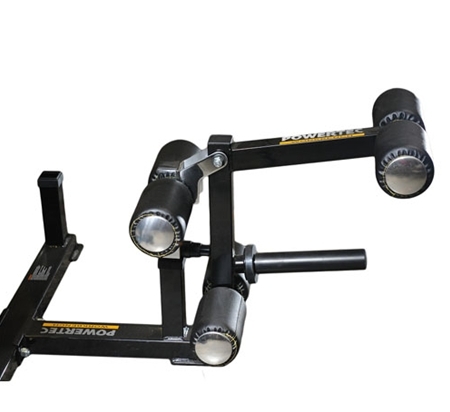 The Powertec Leg Lift Accessory WB-LLA16 also features pop-pin adjustable footpads to assure proper alignment, while the adjustable thigh pads provide stabilization during exercise. Hold-down grips provide ultimate stability for a worry-free workout. As one of the most popular Leg Lift and Leg Curl Accessories ,the system has been redesigned to provide precise range of motion and comfort. Recently re-engineered the system now features a bumper and a permanentsafety rod stopper. The Powertec Leg Lift Accessory WB-LLA16 builds form into function and value into a superior modular strength training system. 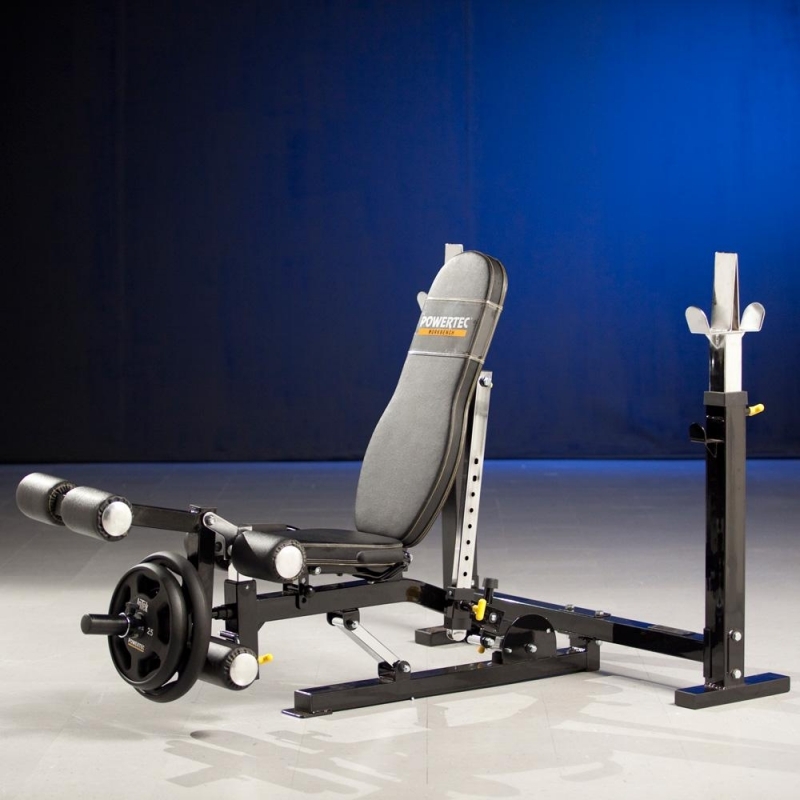 The Powertec Leg Lift Accessory WB-LLA16 is the most versatile leg machine that performs the two most important leg exercises from one comfortable position. To work your glutes and hamstring muscles, sit down and wrap your legs over the 8” foam rollers, then press down to perform seated leg curl exercises. The Powertec Leg Lift Accessory WB-LLA16 is a uniquely designed piece that is perfect for any home and light commercial application.The Powertec Leg Lift Accessory WB-LLA16 is designed to provide an intense workout while eliminating strain, the Powertec Leg Lift Accessory WB-LLA16 is hard to beat. Easy and convenient step-in design makes getting started a breeze. The Powertec Leg Lift Accessory WB-LLA16 thick, comfortable DuraFirm™ pads reduce fatigue and discomfort allowing you to keep working out. Rock solid support and stability is delivered via heavy-gauge steel frames with all-4-side welded construction. Whether gym members are male or female makes no difference, most people are after toned and strong looking arms. Not everyone enjoys or feels comfortable using free weights like dumbbells, kettlebells, or barbells to train the arms, and that’s where state of the art machinery like the Powertec Leg Lift Accessory WB-LLA16 model is the first choice for female and male alike. The convenience of having both exercises in one machine is huge, and most people choose to work their hamstrings and quads together. So it makes sense, and when done safely, the Powertec Leg Lift Accessory WB-LLA16 gets results quickly. Loading the weight directly onto the lever provides smooth and consistent resistance from top to bottom on both the Leg Extension and Leg Curl. A swivel lock pin locks the leg lever securely in place to allow for crunches to be performed with comfort. All Workbench machine Accessories are quality built and relatively lightweight for quick and easy in and out access. A knob lock pin tightens the accessory during exercise. The Workbench Accessory Storage Rack WB-ASR10 allows you to store your Machine Accessory when it is not in use saving valuable floor space and keeping your gym neat and organized. 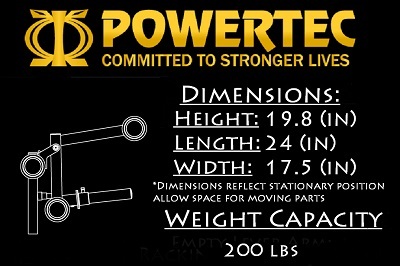 Order your Powertec Workbench Leg Lift Accessory WB-LLA16 from FitnessZone.com today!